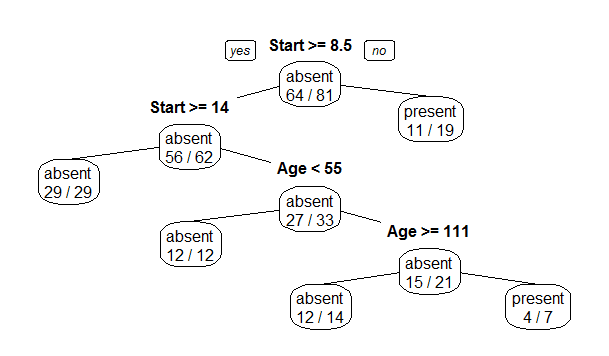 In this post, we shall be exploring decision trees in R.
Decision trees, as you might be aware of, is one of the most popular and intuitive machine learning models, that is used for both classification and regression purposes. 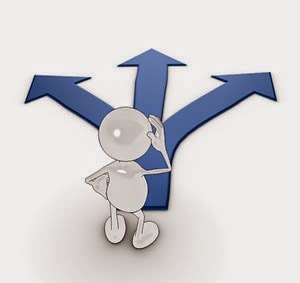 The theory behind decision trees is simple. Say you need to classify a set of observations, depending upon certain factors. The outcome is the response variable, which is typically a class label. So for example, we can consider two broad classes as "Good" or "Bad" and then classify students as either depending on certain factors - grades, discipline and so on. The "factors" are known as the predictor variables, while "good" or "bad" are two outcomes of the response variable. We shall be using a data set that comes built into R, in the datasets library - viz. Kyphosis. 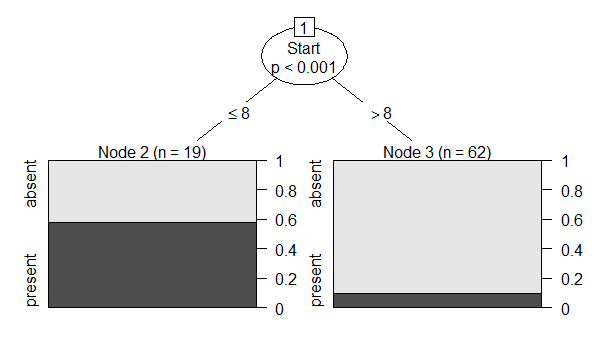 There are two well known decision tree packages in R, rpart and party. We shall be looking at both, but we'll be spending more time with rpart, simply because that's the one I've used more. The code is simple; it's the interpretation that can get a bit confusing. So I'll first give a roadmap of what the code does - and that's three things. 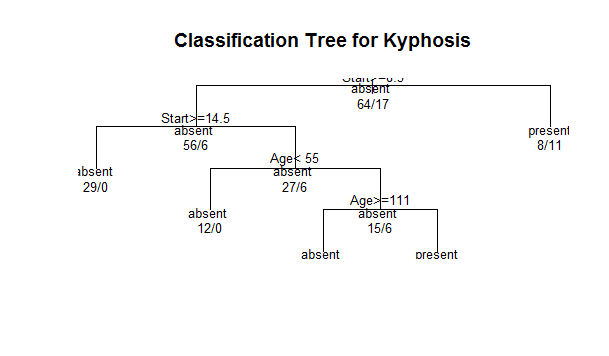 The method is "class" because we're building a classification tree. Now the plot() command is a generic command that is used to plot R objects. Sure, you can make the decision tree fancier by adding text etc, it still leaves a lot to be desired, both aesthetically and functionally. Which is why we'll be using another plotting package to plot more useful decision trees - rpart.plot. Start greater than or equal to 14. The node is labelled "absent" which means there are 29 observations in this node which have been classified as Kyphosis : "absent". The 29/29 means that of the 29 classified as absent, all 29 of them are actually labelled "absent" in the data set. Which means that node has a misclassification rate of 0. Start less than 14 but, greater than or equal to 8.5 and Age greater than 111 months. This node is "labelled" absent too, and signifies that of the 14 results that have been classified as absent at its parent node, 12 are actually labelled absent in the data set. It therefore has a mis-classification error of 2/14 or 14%. This is obviously, the training error associated with this decision tree model. You can now tweak the plot using a number of parameters. Try changing the type to 2 or 3, for example. You can see the exhaustive set of parameters and their values for the prp function in the rpart.plot documentation here. As you can see, while the tree looks more aesthetically pleasing, it has only performed a single split, on the basis of Start. I'm sure there are ways to ensure a better split, but I haven't explored enough. Secondly, you can count the number of present and absent observations from your previous plot, and find the percentage of each for the two cases viz. Start less than or equal to 8, and Start more than 8. You'll see that they concur with the percentages you get in this plot.